We are the only British International School in downtown Beijing, situated in the heart of the embassy district of Sanlitun. We create an environment where there are no limits to what our students can achieve, where your child will excel academically, socially and personally. 96% of parents of our current students felt that their first contact with our school was warm and welcoming. 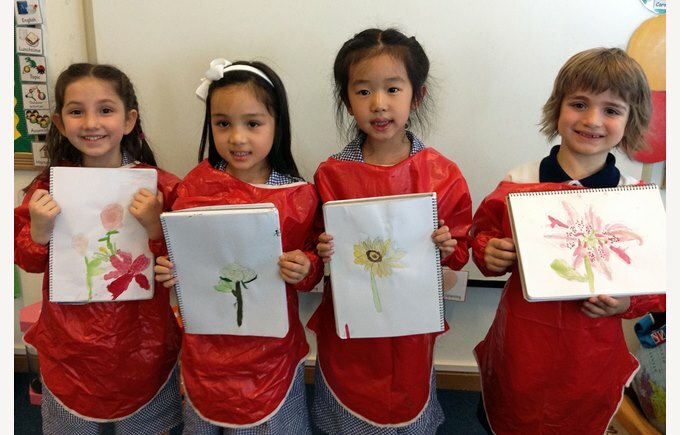 Year One have been learning all about plants this term. 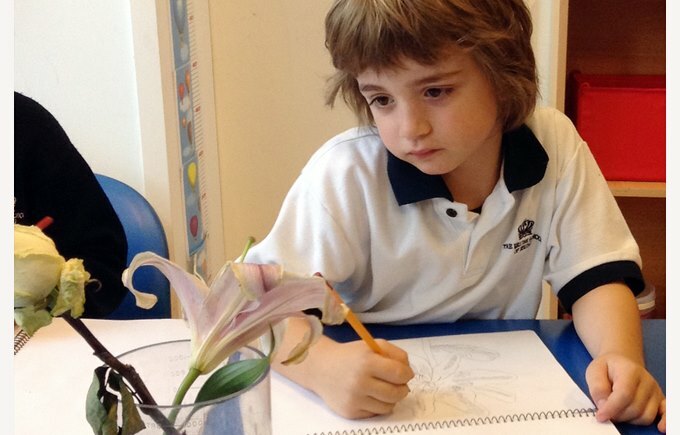 This week we look carefully at a range of flowers and used our eyes to create an observational drawing. We have some fantastic artists across the year group who have a real eye for detail when they are producing artwork. Take a look at some of the drawings we created through careful observations and peer feedback to add extra detail. We then used watercolour paints to add colour to complete our amazing drawings. The children began to explore colour mixing to create similar colours and make their pieces match the real flower. We were very impressed with the concentration and resilience of the children as they continue to strive to be the best that they can be. Here are some of the finished artworks, I’m sure you’ll agree that we have some very talented artists in the making.